Yearbooks are on sale now through February 27 and all orders must be placed ONLINE ONLY. THE SCHOOL CODE IS 11854015. Click the PTA link on the righthand side of this blog for information on how you can buy advertising space in the yearbook. Thursday, January 22 from 5:30 pm – 6:30 pm Math Workshops for parents of students in grades K- 2 on understanding Common Core Math. Thursday, January 22 6:30 pm Science and Technology Night grades K-2. Thursday, January 29 from 5:30 pm – 6:30 pm Math Workshops for parents of students in grades 3-6 on understanding Common Core Math. 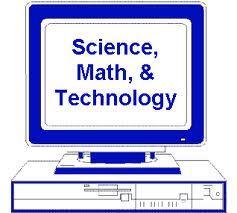 Thursday, January 29 6:30 pm Science and Technology Night grades 3-6. Positive Solutions for Families – Feb. 2, March 2, and April 13 – 6:00 pm – 8:00 pm District Office. It is not too late to become a member!! !